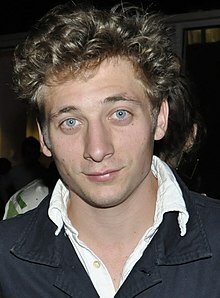 Jeremy Allen White (born February 17, 1991) is an American film and television actor. He is best known for playing Phillip "Lip" Gallagher on the acclaimed Showtime dramedy series Shameless. White has appeared in several films including Beautiful Ohio, The Speed of Life, Afterschool, Twelve, and After Everything. Prior to meeting each other, White's parents had both moved to New York City to pursue careers in acting. After meeting, performing on stage together for several years, and marrying, the couple ended their acting careers and obtained jobs that would help them support their new family. Throughout elementary school White was a dancer, specifically ballet, jazz, and tap. At the age of 13 upon entering a new middle school dance program he had a change of heart and decided to pursue acting. White got the job to play Phillip "Lip" Gallagher on Shameless right out of high school. White has a child with his fiance, American actress Addison Timlin. Their daughter, Ezer Billie White, was born on October 20, 2018. 2006 Conviction Jack Phelps Episode "Deliverance"
2010 Law & Order: Special Victims Unit Michael Parisi Episode "Torch"
^ Ford, Rebecca (23 March 2017). "Maika Monroe, Jeremy Allen White to Star in 'Shotgun'". The Hollywood Reporter. Retrieved 14 January 2019. ^ Scharmett, Samantha (28 March 2012). "Shameless: CM Interviews Jeremy Allen White". Collegemagazine.com. Archived from the original on 17 November 2013. Retrieved 23 April 2013. ^ Phelan, Hayley (5 June 2016). Mcdean, Craig (ed.). "Jeremy Allen White". Interview Magazine. Retrieved 14 January 2019. ^ Juneau, Jen; Gugliemi, Jodi (21 October 2018). "Shameless Star Jeremy Allen White and Addison Timlin Welcome First Child, a Daughter". PEOPLE.com. Meredith Corporation. Retrieved October 22, 2018. This page was last edited on 21 April 2019, at 22:08 (UTC).